This was so easy. Pre-cut cards and adhesive die cuts. Of course, I chose to rearrange some pieces and add a few embellishments (black buttons, brads, coral ribbon, brown ink). Everything else was included in the kit. 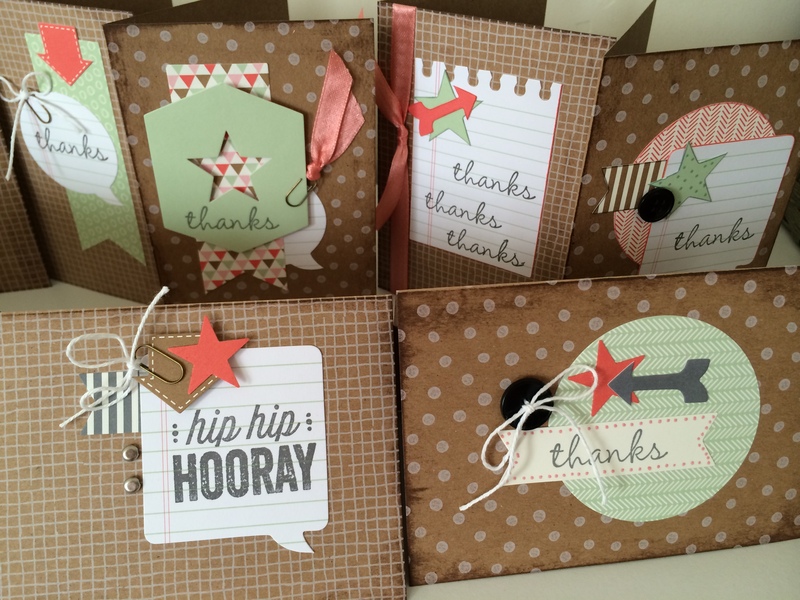 The card bases, envelopes, die cuts, three stamps, and grey ink. $19.95 for supplies to make 20 cards! Plus I have stamps, ink, and a few leftover pieces to use in the future. I love it!